Physiotherapy promotes quality of movement and healing of tissues. It is a science based profession that uses scientific research as part of assessment and treatment strategies (ref) . ACPAT Veterinary Physiotherapists are professional clinicians with a depth of core knowledge that includes anatomy and physiology, joint mechanics, functional biomechanics, disease pathophysiology and tissue healing. We are experts in rehabilitation and provide assessment and treatment for animals post-op, pre-op, post injury, neuro issues and for conservative management of many conditions. vet referral form PDF format for printing with the client details and history and then either fax or email the document to me. I will then contact the client and let you know when I have booked the appointment. Once I have seen the client I will send you a report about my assessment and treatment. Please note that none of the client information you place on the referral form will be used for marketing purposes nor shared to any other person or organisation. Referral toan ACPAT Veterinary Physiotherapist from the veterinary surgeon is best done early on in the healing process because it is easier to prevent movement issues and to promote quality healing than it is to try to undo compromised tissues and movement strategies. A Chartered Physiotherapist & ACPAT Veterinary physiotherapist will study for at least 7 years to qualify. Starting with a three to four year degree to become a human physiotherapist and then work in the human orthopaedic and neurological field before undergoing further masters level training with animals for two years. 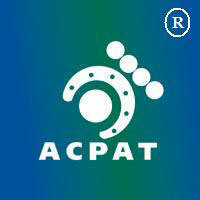 I am registered with the Association of Chartered Physiotherapists in Animal Therapy (ACPAT). Physiotherapy directly after a CCL repair is important to prevent movement disorders, promote healing and owner compliance. 8 yr yorkie cross with traumatic disc prolapse T12/T13 resulting in hindlimb paresis. Vet referral centre recommended immediate conservative treatment with physiotherapy. 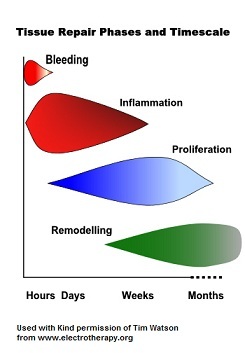 Initial physiotherapy works alongside the body’s natural healing response . Treatment included . . . . . more info. 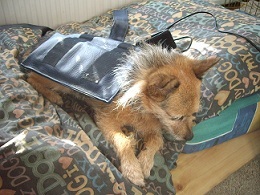 She is now fully functional, using all 4 legs with just slight weakness and proprioceptive deficit in right hind.